A pool is a significant investment for most homeowners, so you always want to make sure the area surrounding the pool is beautiful, functional, private and safe. And if you’ve invested in trees, plants, flowers and shrubs to enhance the area as well, you want to make sure they’re properly irrigated year-round. 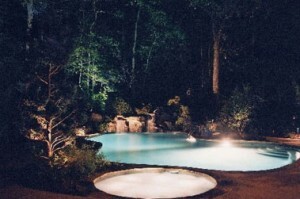 The experts at TLC, Incorporated have years of experience in providing property owners with beautiful and affordable pool lighting and lawn and garden irrigation, and would like to add your name to their list of valued customers. Come on – let’s give the neighbors something to talk about!